Welcome back! Today we will take a peek at the first piece of armor that Paul mentions in Ephesians 6, the belt of truth. Or enemy is not human; he is the evil one, bent on destroying us. He is, to borrow from John Stott, "powerful, wicked, and cunning." We are up against an enemy we cannot survive or defeat without the strength of the Lord. And the Lord provides: Himself and His power! The armor will enable us to STAND against our enemy when evil comes. The Jamieson Fausset Brown commentary calls standing "the grand aim." The Lord gives us His armor and His strength to achieve "the grand aim." The enemy is powerful, but evil. Our God is more powerful, and good. 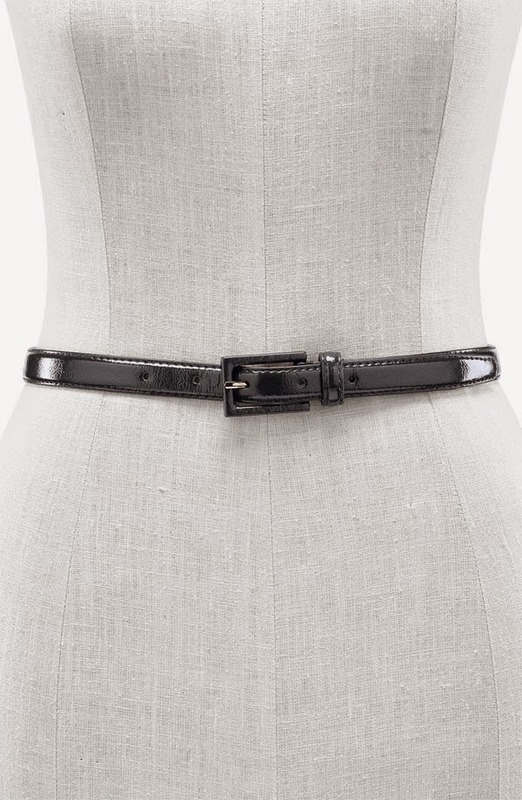 What do you think of when you hear the word belt? I think of something that keeps my outfit together: shirt tucked in, pants up. A belt frees me to move around with out fear of my clothes separating or falling off. With my belt properly fastened, I can turn a cartwheel without concern! Now, how about truth? The first verses that came to my mind were Jesus saying, "I am the way, the truth, and the life ..." and You will know the truth and the truth will set you free. Truth and Jesus are closely linked, in fact, they are One and the same. To know Truth, we need to get to know Jesus, and the Father and the Spirit. Having the truth of who God is tightly buckled around our "loins," as some translations state, keeps us together, standing firm and strong in Him. A couple of commentators highlight that the belt Paul referenced was not an outer belt, but part of the under armor. The belt would need to be put on first, before all of the hard outer armor. I think this is important for us to note. We need to strap the belt of truth around us first thing: the truth of who God is, the truth that we are engaged in battle this side of heaven, the truth of salvation through Jesus Christ, the truth that we are loved beyond measure by Almighty God, the truth that the Spirit lives in us, the truth that we will never be abandoned or forsaken! I'm sure you can think of even more truth to add to this list. Imagine standing up each morning, groggy and foggy, and thinking to yourself, Hey, I'm alive in Christ. God loves me as His child. He has equipped me and strengthened me for all I will encounter today. He forgives my sin and makes me clean. I have life, hope, joy, and peace. Satan cannot defeat me because I belong to the Lord! Truth, a belt to keep our thoughts tucked in and pulled up around what is true, enables us to stand firm and be strong in the Lord - the Lord who is the way, the truth, and the life. One final word before sending you off to the week ahead of you: The belt of truth frees us, but it won't put itself on us. The Spirit will remind us and God will help us, but we have to put on the belt. John Stott expresses it better than I by saying Paul's two commands, Be strong in the Lord and Put on the armor, express the balanced teaching of scripture which speaks of "divine enabling" and "human cooperation." The Lord provides and equips, we must take and use. Tighten up that truth belt today, friends! Be strong in the Lord and stand firm against the devils schemes!